Sweet & Maxwell Textbooks now available on ProView, our free, professional-grade eBook reader. ProView enables you to bookmark pages and highlight passages, as well as create notes, search across your library and more. 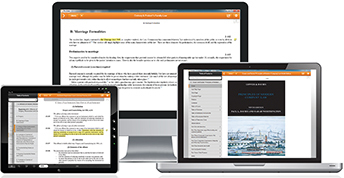 Available on iPad, Android tablets or computers, ProView enables you to access your Thomson Reuters eBooks online and offline, wherever you are.